While strolling through the Piazza Navona one summer evening with a gelato in hand, I thought of all the reasons why this particular place holds such an attraction for me. The atmosphere after dark is especially inviting. 1. The long and lovely string of restaurants and cafes that line the perimeter, providing excellent seating for people-watching while enjoying a caffe or vino with snacks. I love the low hum of human voices accentuated by spurts of laughter. 2. Street performers, musicians and artists showing off their talents with gusto. 3. Romance, romance, romance…need I say more? – Bernini’s “Fountain of the Four Rivers” with the ancient Egyptian obelisk in the center. – The “Fountain of the Four Tritons” with Bernini’s African wrestling a dolphin. I love the entire effect of the soft lights shining from below these statues which cast a ghostly glow across their features. The trickling water from the fountains is transporting. 5. The knowledge that underneath the piazza was once a former arena built by Emperor Domitian and used for athletic competitions during the first century. I am so amazed by the historical happenings below my feet. 6. Lovely baroque dome and two “towers” of the 12th century Church of Sant’Agnese in Agone located in the center of the piazza. 7. The Palazzo Pamphilj next to the church, which was a family palace of Pope Innocent X. It was he and his family who instigated theatrical events on the piazza during the hot August weekends from 1652 – 1866 by flooding it in preparation for elaborate celebrations such as mock sea battles with real little ships. By now I’ve walked off my dinner and finished my gelato. Time for a glass of red wine before I head back to my room. The waiters grow a bit flirtatious as evening progresses. I don’t mind. We enjoy a good laugh as I finish my glass. Slowly, I walk once more through the piazza, inhaling all the sights and sounds that I long to remember. ← Italy’s Abandoned Churches ~ What Happens to Them? Exactly….and I agree with exploitation of tourists. However, if you count in the views, great people watching and so on, it kind of balances our. But I love finding authentic food with great service. Won’t be found in the piazza. Wine, or coffee….the best deal! Lovely 🙂 This is an honest post which speaks from the heart of an Italophile! Thank you Ishita! I’m glad you enjoyed it and recognize a passion very much like yours. 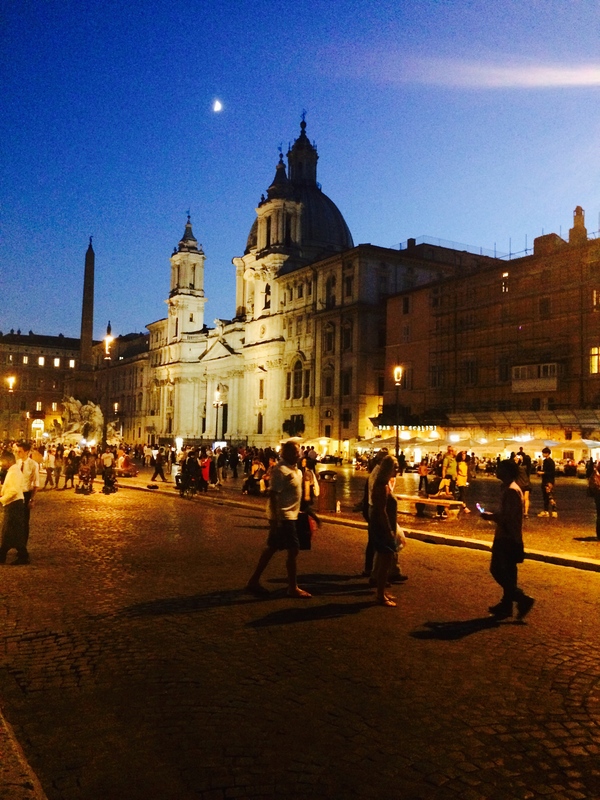 Love Piazza Navona…so grand. I also love the Bernini – Borromini rivalry. Yeah, those guys were hugely competitive! Piazza Navona is a favourite especially since the sellers have been moved on. Yes, it’s now an entirely different atmosphere! Nice job capturing the spirit of the ambiance here…these moments are so hard to capture with words, but your post reminded me why I like to sit in some of the piazzas in Bologna. Thank you! I just close my eyes and remember walking through the piazza…what images, sounds, smells and thoughts came to mind…and write it down. I have yet to really experience the piazzas in Bologna, but I can imagine! It is a great technique! 🙂 If you ever make it to Bologna, let me know. 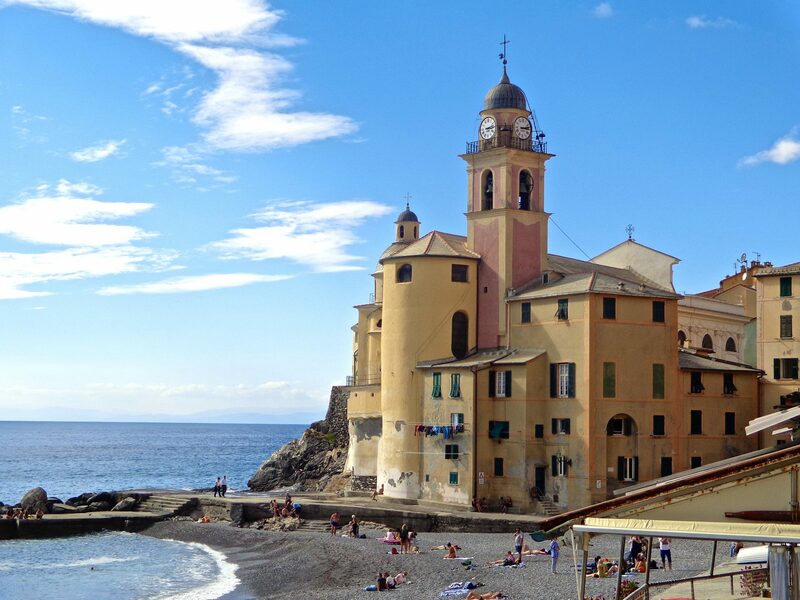 Piazza Santo Stefano is a great one that a lot of the students spend their evenings in. I sure will….this I would love to experience!! Hi Marta, if I was a child there especially, I know the Christmas market would have been my highlight. I just get lost in the evening atmosphere of dramatic lighting and silhouettes against the darkening sky. Thank you for your comment!